See what is happening around the country at our 13 branch locations. Or click here to sign up to receive updates via email. Your donation will be used to provide the highest level of support to service members and their families. The ASYMCA is consistently recognized as a top-rated charity by Charity Watch, and Charity Navigator. Armed Services YMCA and Department of Defense reach agreement to provide fitness options to qualified military members and families. Click here for more details. 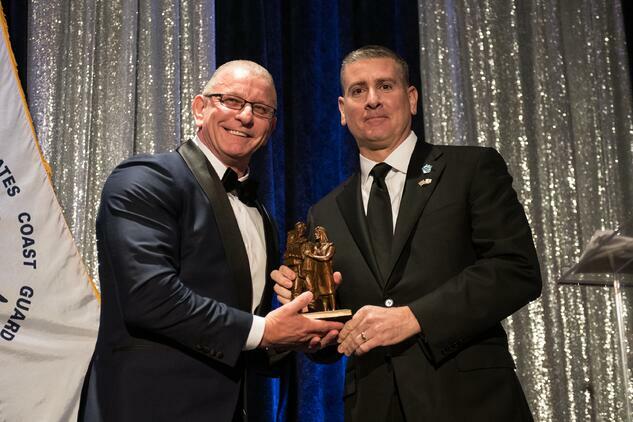 Celebrity chef and fitness inspiration, Robert Irvine was presented with the Angel of Honor Award at the 2018 ASYMCA Angels of the Battlefield Awards Gala. Chef Irvine created the evening's menu and invited a team of military chefs to help him execute. Check out this video. The Armed Services YMCA is a registered 501(c)3 nonprofit that provides specialized programs and services to active duty junior enlisted military service members and their families. Our tailored no and low cost programs and services include: childcare, day and resident camps, child development programs, early learning classes, emergent food support, deployment support, emergency travel support, health and wellness services, and more. We are the nation’s oldest military service organization, and have served the military community since we were established more than 150 years ago during the Civil War. Unlike your neighborhood Y, we don't have paid memberships, and we don’t normally provide services to the local community*. 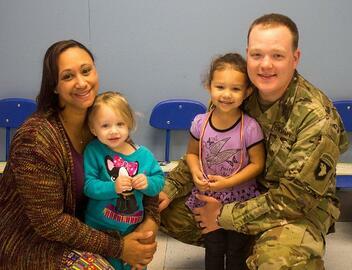 Our focus is on the resiliency of military families. In 2017, we registered more than 250,000 participants and delivered more than 1.3 million points of service to junior enlisted Soldiers, Marines, Sailors, Airmen and Coast Guardsmen and family members at 200 service centers in 18 states. Our support is focused in three areas: healthy living, youth development and social responsibility. Whether providing respite child care for parents in need, summer camps for kids, or assisting with emergency needs, our programs, services, and events are designed to help the family come together, stay together, and have the ability to adjust, bounce back, and thrive wherever the services sends them. The challenges they face as they provide for the safety and security of our nation is immense. We owe it to them to help. Our mission is Strengthening Our Military Family TM. *We do serve the local community at our Wellness Center in Killeen, TX.